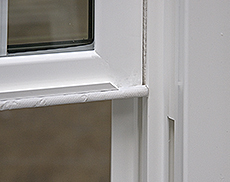 discover why the Okna SERIES 800 double hung replacement window is in a LEAGUE all its own.. 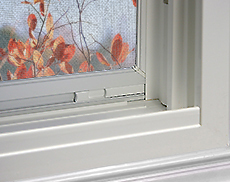 When it comes to Replacement Windows in Ct. 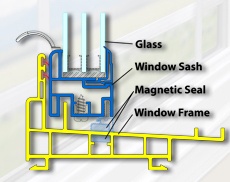 The Enviro-Star 800 Series by Okna Windows is a superior quality. 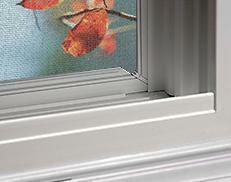 No other window compares to this unique line of Replacement windows. 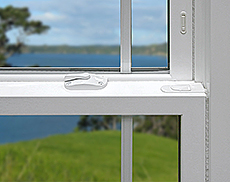 The Okna Enviro-Star combines 100% virgin vinyl high-tech insulated glass and a unique welding process to produce a window that out performs all others. 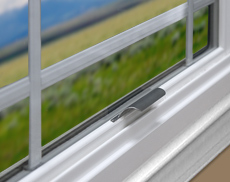 ​The 800 Series offers many options for colors and glass efficiency along with hardware and internal grid options, including a simulated divided lite for an authentic colonial look. 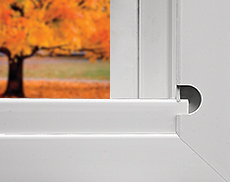 The OKNA Enviro-Star Double Hung offered by Suburban Windows out performs window like Harvey, Alside, Atrium, Mercury and Anderson. 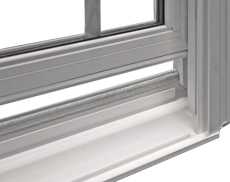 When you look at the ratings you will discover the Okna Envirostar Double Hung has the lowest air infiltration rating of all the leading Window Companies in CT. With a rating of .01 the Series 800 is the closest you can get to a draft free windows, 3000 better then the industry minimum. 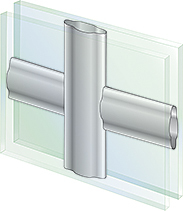 The Okna Series 800 double Hung also has a unique magnetic sill similar to a refrigerator door and triple weather stripping to achieve these low ratings. Full 3 1/4" Depth Welded Mainframe with beveled colonial exterior features curves that are not only beautiful, but also allow for maximum weld surface resulting in superior strength and years of long lasting performance. 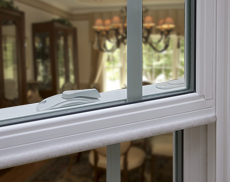 The elegant, beveled profile of our 800 Series will enhance the beauty of your home's exterior by giving it the traditional look and feel of wood windows with the performance and ease of maintenance you can only get with vinyl windows. The 800 Series can also be painted to match any exterior. 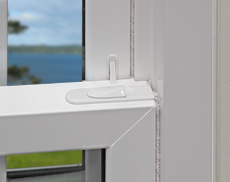 A one piece sloped sill allows for proper water drainage without leaks. 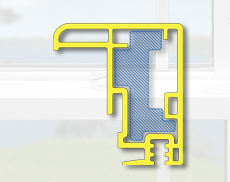 Additional high density composite reinforcement (shown in blue) inside the upper part of the sash make our windows structurally stronger than others available on the market. Colors on your monitor may not match the product's actual color. Please visit a local dealer to view actual color samples. Simulated Divided Light (SLD) Permanent interior and exterior grid with spacer will provide a truly authentic look. Interior grid are available in a euro white color or wood laminate which can be stained to match your home's décor. 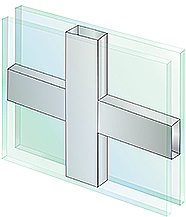 External grid are available in euro white or colors to mach product exterior. 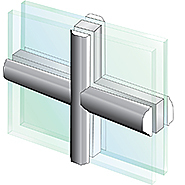 Our company offers ThruVision® Screen standard on the 800 Series to improve the view through the window while protecting the interior from insects and allowing proper ventilation.